Hardware is like the jewelry of a piece of furniture. It provides a bit of flair and personality. 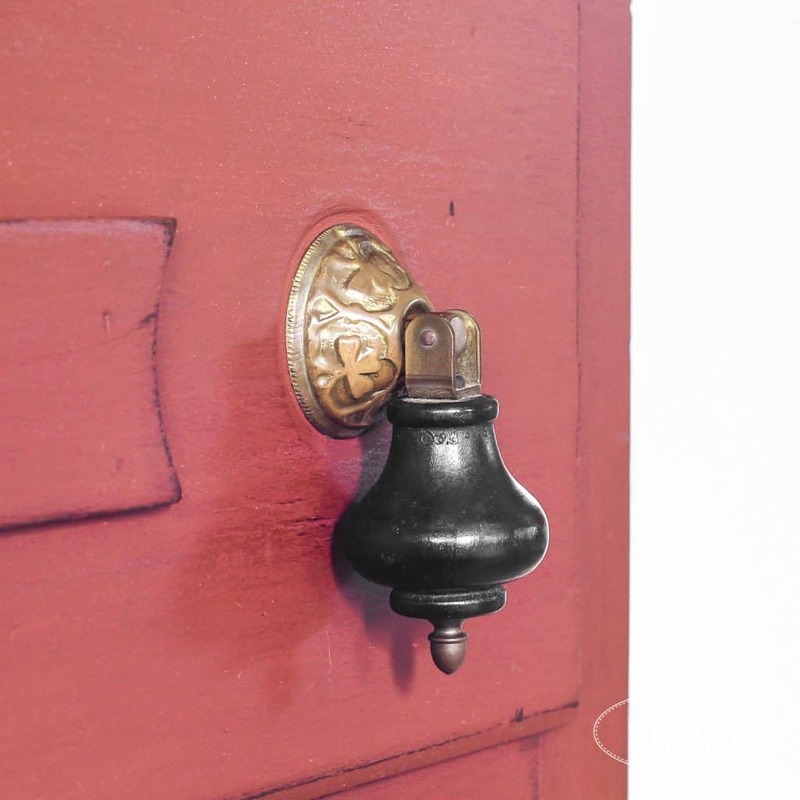 Hardware also identifies the age of a piece and pinpoints it to a specific era of design. 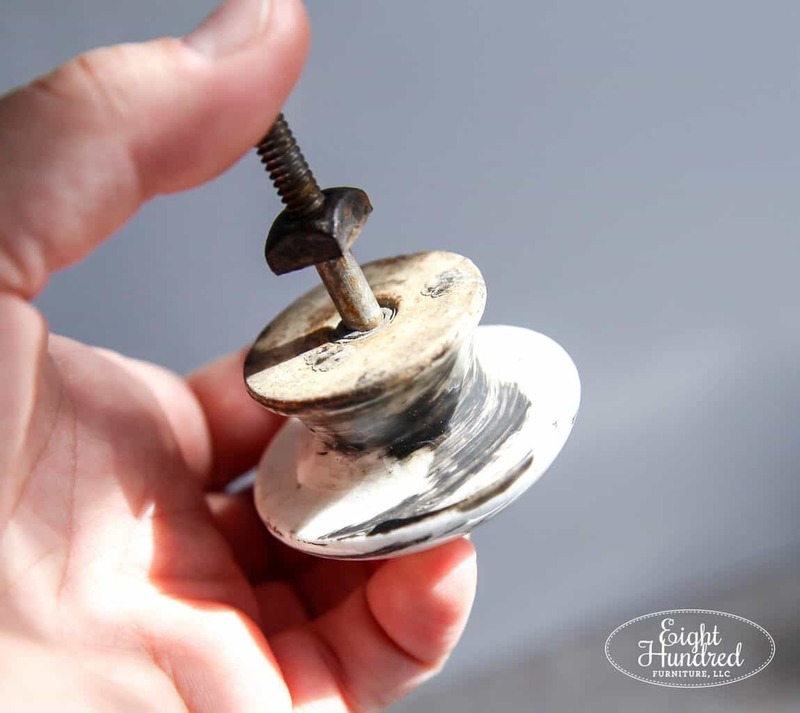 That’s why it’s so important to clean and restore the original hardware on your furniture project! For example, when you see hardware like this, you know the piece is from the Victorian era. 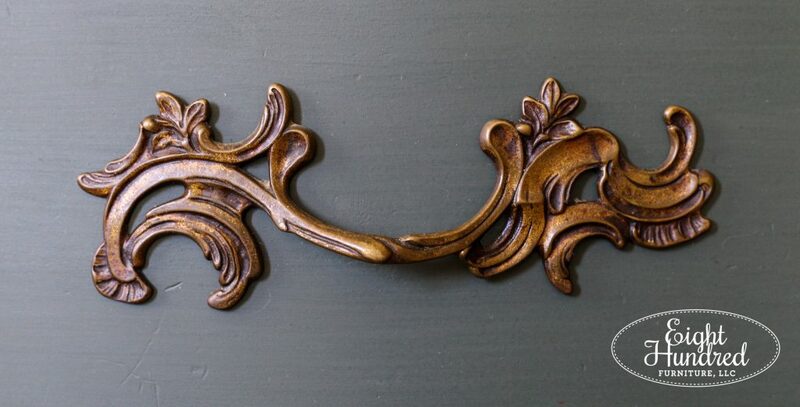 This hardware is French provincial through and through. Whenever it’s possible, I preserve the original hardware of a piece I’m working on. Some are in great shape while others need a lot of cleaning. 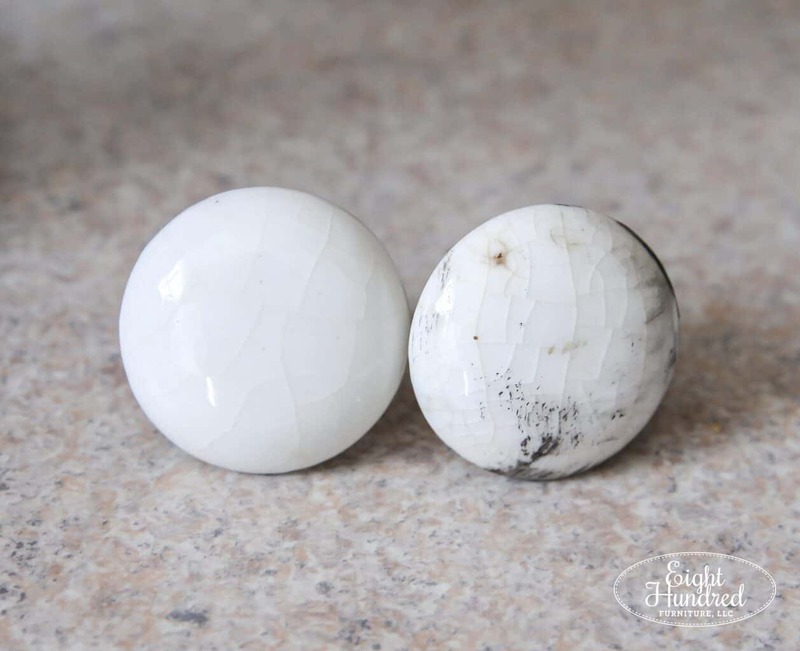 On my most recent project – an empire dresser – I had a lovely set of porcelain knobs that were in great condition, but they were very dirty. 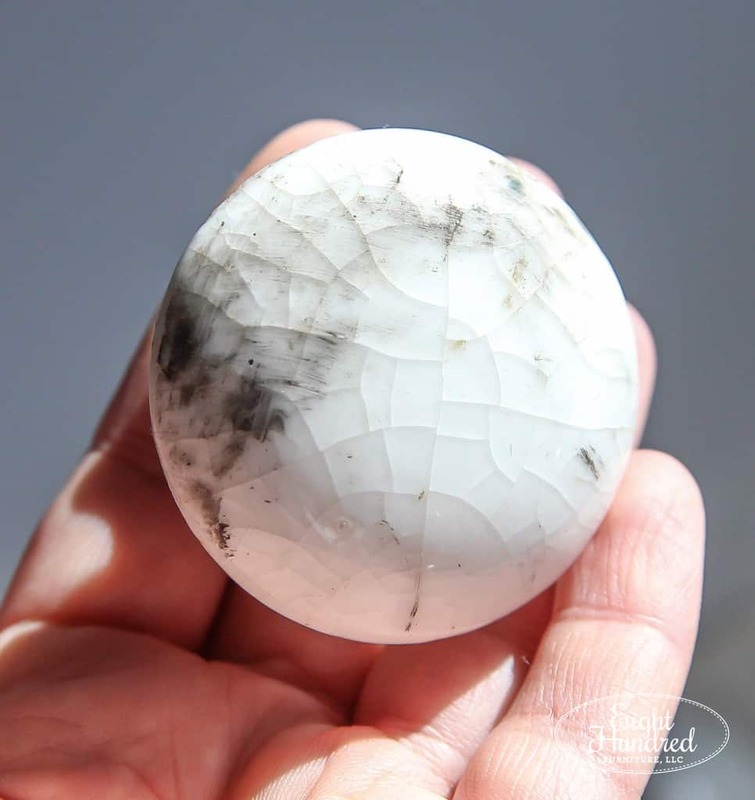 In this post, I’m going to share how I went about cleaning them so they shined once more! When I first bought my empire dresser, it did not have the original finish on it. Someone wiped on an oil based stain/topcoat mix to darken the piece. It was not applied well. 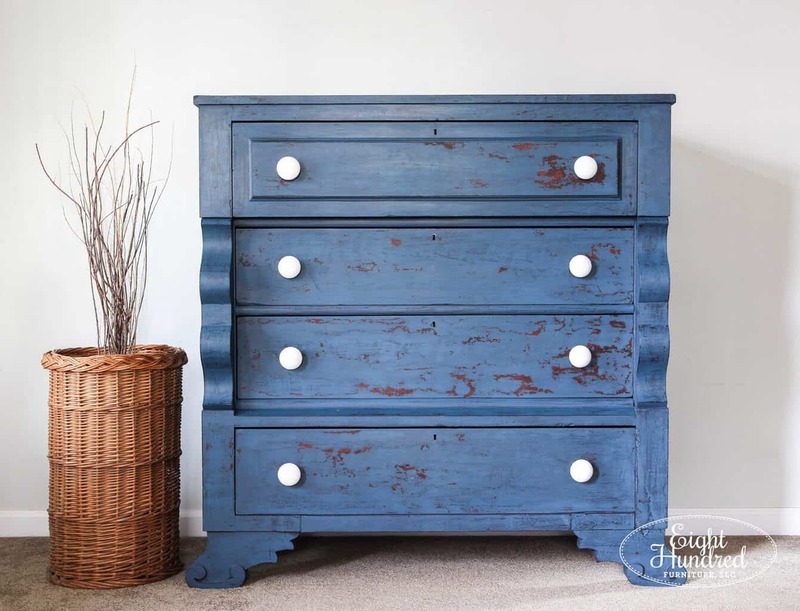 There were paint brush bristles dried in the stain and drip marks everywhere. Worst of all, the finisher didn’t remove the knobs prior to wiping the new finish on. 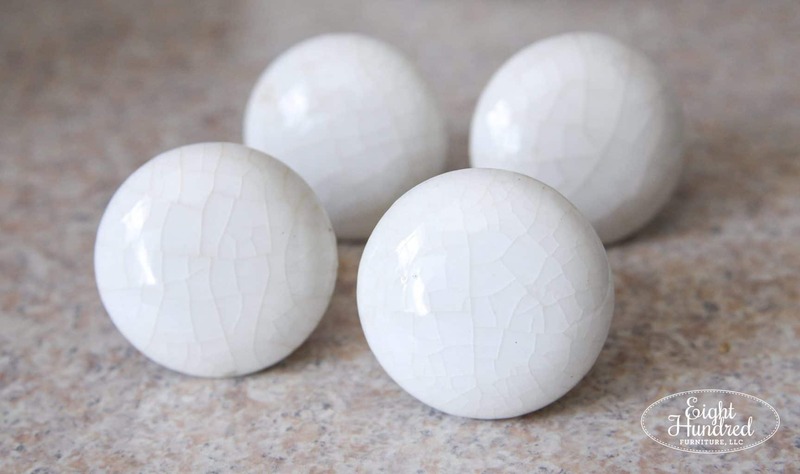 As a result, it got ALL OVER the gorgeous original porcelain knobs. I really wish I could go back in time and run at the person full speed screaming, “Noooooo! Don’t do it!”. My product of choice to clean the knobs was Bar Keeper’s Friend. This product is fantastic to have on hand in your home. It’s so versatile! 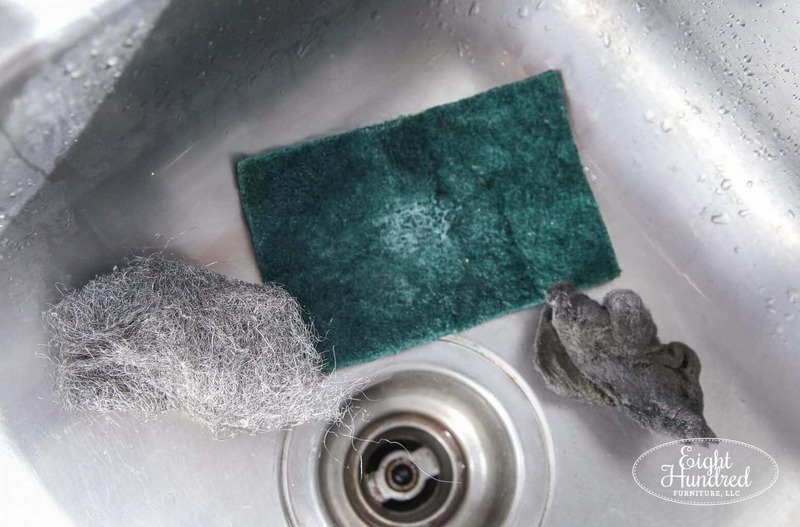 I use it to clean my stainless steel pots and pans, scour out our sink and shine up the handles of our sinks and tubs. And guess what? 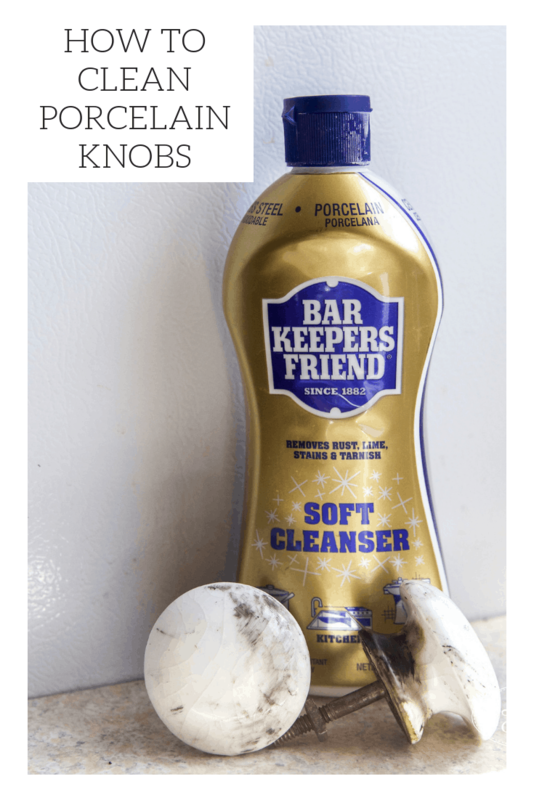 It works great for cleaning porcelain furniture knobs! 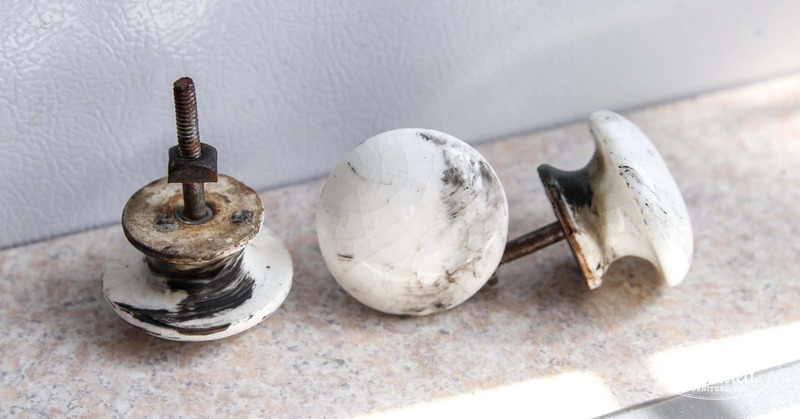 I used varying grades of steel wool (0000 and 000 grade), a toothbrush and a green Scotch Brite pad to scrub the living daylights out of these poor neglected knobs. 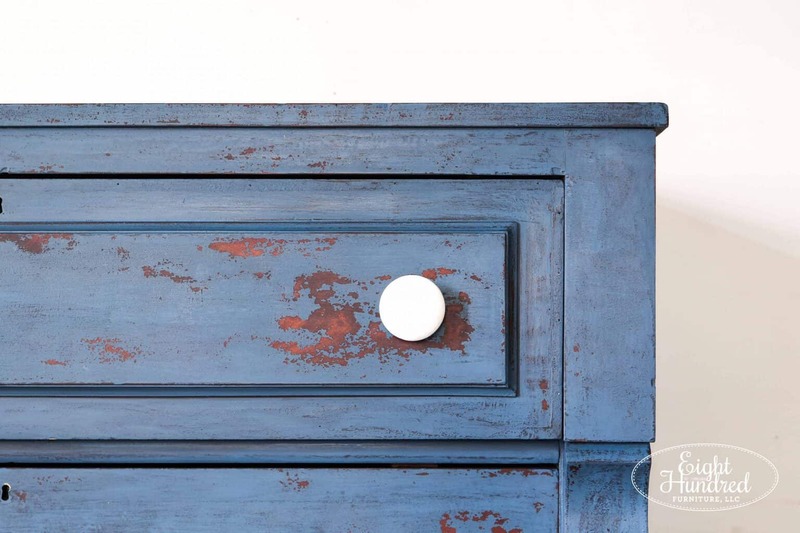 Some spots were so bad, that I used my fingernails to scrape away the caked on stain/oil finish. This is one reason why I don’t paint my nails anymore! All of my efforts certainly paid off! After finishing the first knob, I put it next one that hadn’t been cleaned yet. The yellowing disappeared along with the dark stain. The brown spots on the bottoms disappeared and I even cleaned the screw posts for good measure. It took me about 30 minutes to clean all 8 of my knobs. My back got sore from being hunched over the sink in concentration, but it was worth it! Here’s how the knobs look on my empire dresser. 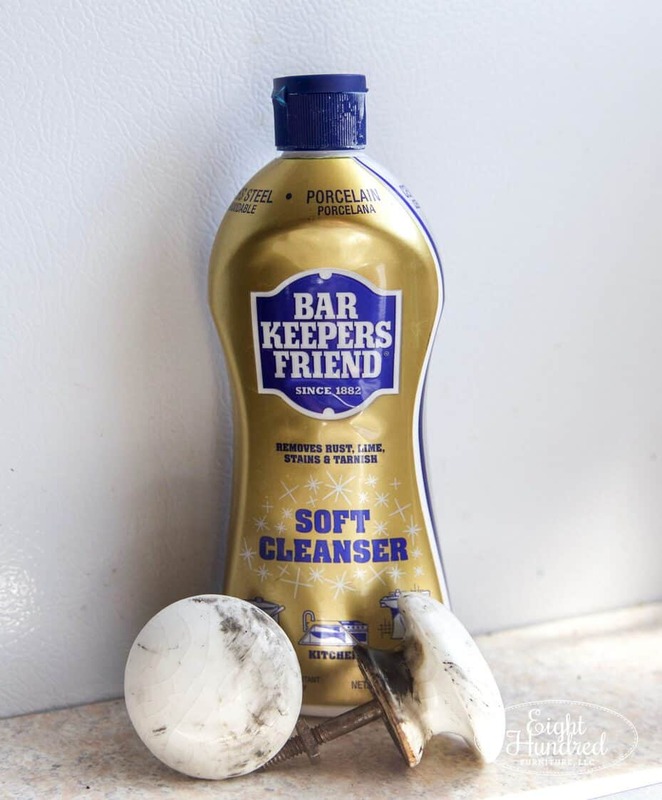 So the next time you have porcelain, glass or metal knobs that need a good polishing, try some Bar Keeper’s Friend! You can purchase it from the cleaning aisle of your local grocery store. Pin this handy graphic so you can reference this tip later! I’ve always heard this stuff does wonders! Gonna go get me some! 😉 You did a beautiful job! Thank you! 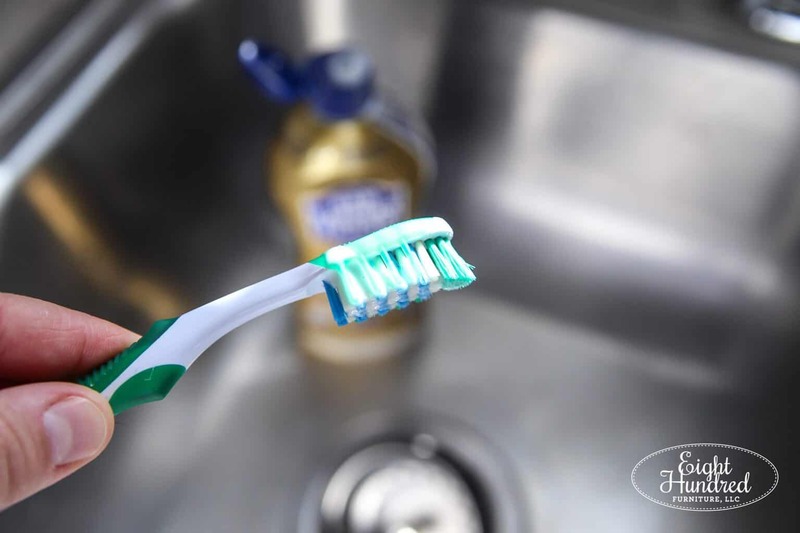 It’s great for cleaning up enamel top tables, porcelain, tubs, sinks, metal, etc. I love your emails – the info you give is so great to have – You should know that I keep ALL your emails in a folder on my desktop so I can refer back to them. Thanks!!!!! !